Bella and Edward are getting married soon but when Bella's old friend from Phoenix moves where they are things could get a little complicated. Will Penny be able to break up the love between Bella and Edward before their Wedding?!? Penny isn't so gullible and stupid as Bella thought. banner by me Its Jessica flirting with Edward. How awkward must that be for her ...and Edward? (one-shot: angst) Edward doubts if Bella's love is true anymore, after what happened between her and Jacob in Eclipse. WARNING: JACOB LOVERS BEWARE! Taking a Hiatus on this story banner made by meSequel to my much anticipated story:::"Interference"!! Bella and Edward's wedding has arrived, and Edward has just escaped a near death with the evil Siren -Penny-. But when a new member of the Cullen family betrays them and wants revenge for something one of the Cullens did long ago, their love and life once again is put to the test. banner by me :] One-shot: Ben takes Angela out, but what happens isn't what Angela expected. 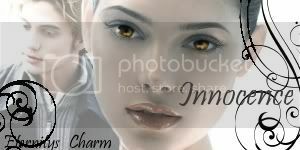 banner by me, eternitys_charm A soldier's daughter is left to fend for herself in the middle of a war. But when she gets turned into a vampire, her fight for survival gets tougher, until she meets a family that gives her hope. "What exactly is she planning right now?" --Bella Swan, Chapter 21 banner by me :) What if Edward never returned when he first left Bella? Bella now has a second chance at love and life, but how exactly would her life be if Edward never returned? How would her life change when Edward comes back? 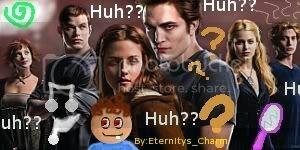 banner by me :) Edward contemplates over the fact that he could lose Bella once more…. Remake to my fic “Doubt”. banner by me What if Jake hadn't imprinted on Renesmee, who would be his "soul mate"? banner by me For the "Dark and Stormy Night" Contest. A look into one of Edward's hunt during his Rebellion Years. HeartBreak~What will you do when your past comes knocking at your door? && Revealing Secrets~No secret is safe. Interference && Betrayal You can't trust anyone anymore, can you?